Discussion in 'Food & Feeding' started by RCFA, Apr 3, 2017. Looking for thoughts/experience with feeding micro-fauna from a worm composting bin. 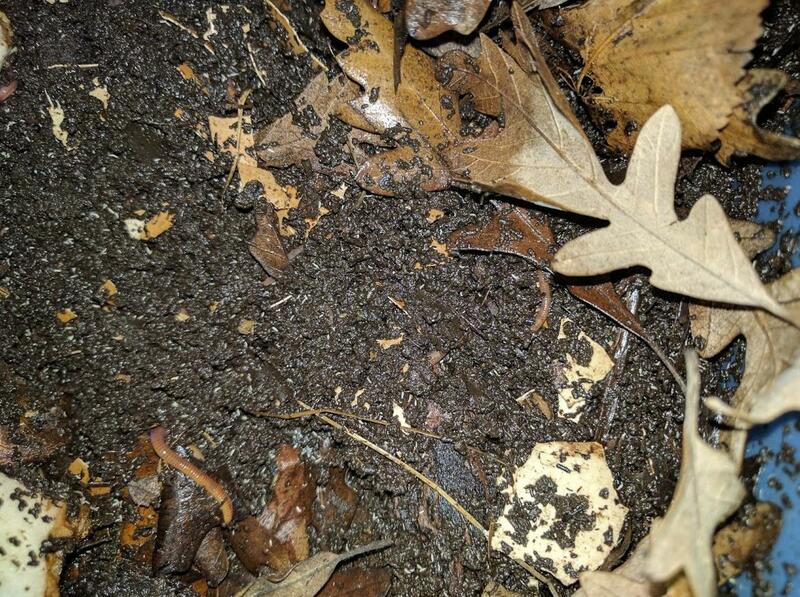 I can identify the red wiggler composting worms (Eisenia fetida), small white springtails, several mite species, dwarf white isopods, nematodes and several other small invertebrates that I can't identify. I tried to take a picture but it is really hard to get good resolution of the time creatures. I'm going to try to get my SLR and macro lens out tonight to get a better shot. I would like to start feeding out of my vermicompost bins to my frogs but have not done so yet due to concerns of introducing some type of contaminant or unwanted pest. Anyone else have experience with this or thoughts on the risks? What type of stuff are you composting? Just food scraps? Any plants or soil that would have chemicals/fertilizers in them? Other than chemicals, I would be worried about 'other small invertebrates that I can't identify'. I wouldn't be risking it myself, but certainly sounds like it would be a good source for microfauna. Yeah, just food scraps. Mainly organic food scraps and leaf litter, same as I use in my tanks. I'm wondering how different this would be than field collecting. I also keep fruit pieces in my tanks to keep the fruit flies in the tanks. The variables seem to me that they are quite similar to what I'm currently doing, but would be interested to hear if others try something similar. Fixed the image link. To answer your question from before Adam, Google photos doesn't allow for the direct url to be used. I used imgur.com to host the image and pasted that link. Did you add the springtails and isopods? If they or the other inhabitants are from the wild I wouldn't use them until you've bred them for a couple of generations. To avoid lead and other metals,contaminants that they may have. I did add the springtails, but not the isopods or other microfauna. I'm assuming they came in with the worms that I acquired from another vermicomposting culture or potentially on the food scraps. The bin has been going for a little over 6 months so I'm assuming that is enough generations to avoid any residual heavy metal or other contamination, but that is a good point. I'll look into getting a heavy metal screening done.